Aalto University researchers give their tips on entertaining and professionally rewarding summer reads. Edgar Schein: Helping: How to Offer, Give and Receive Help? Adam Grant: Give and Take: Why Helping Others Drives Our Success. 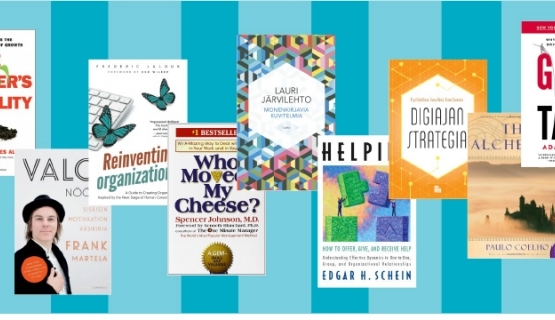 “In addition to business staples, during my career I’ve enjoyed other types of books with a more philosophical nature recommended by top executives. Here are a few examples, although I do recommend exploring the genre at large according to your own interests.